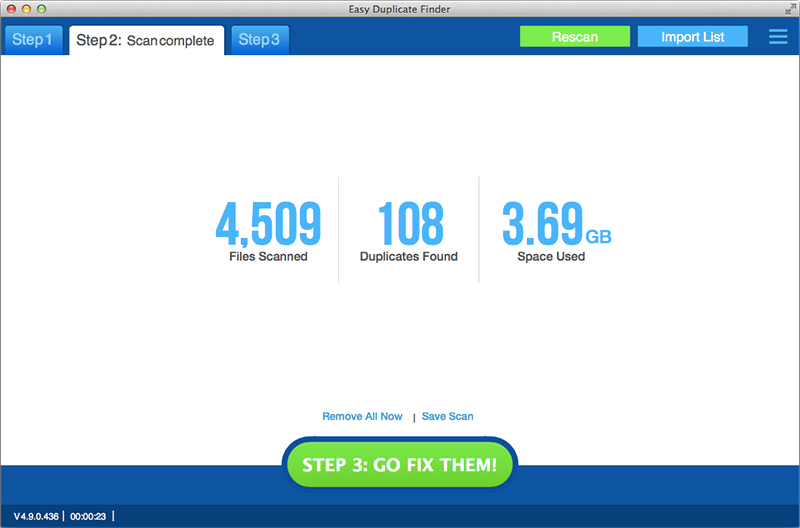 asy Duplicate Finder is an award-winning program that will help you find and delete all sorts of duplicate files in just a few clicks. Thanks to its advanced algorithms and flexible file management options, Easy Duplicate Finder offers unmatched accuracy and ease of use. With the help of Easy Duplicate Finder you can find and manage duplicate documents, photos, videos, emails and even delete the duplicates from your iTunes, Photos and iPhoto libraries, as well as in Dropbox and Google Drive. Find Duplicate Files Delete Duplicate Photos Delete Duplicate Songs Optimize Your Computer Speed Up Your Computer Duplicate iTunes songs MAC OS EXIF.